Beginning Friday at Old South Church, seven Musicians of the Old Post Road gather to revive some notes that haven’t been heard much in the last 300-odd years with the regional premiere of Nice e Tirsi, a passionate and fascinating cantata written in 1749 by the little-known Giovanni Alberto Ristori, and restored, from the manuscript, by the group. Over the years, the physical condition of the manuscript for Nice e Tirsi at the Sachische Landesbibliothek in Dresden, Germany had deteriorated, resulting in extensive ink bleed-through. The library’s color reproduction made deciphering easier, allowing the black notes on one side of the page to distinguish themselves from the “brown” printing-through. The business of score preparation involves entering the whole work into music notation software as a first step, and then delving into specific editorial decisions. This all happens months before the first rehearsal, when the sounds themselves are still far away. Composers will recognize this process, but it’s a fascinating twist to go through it with a work that originated in an entirely different era. Giovanni Alberto Ristori was born in 1692 (possibly in Bologna) and died in Dresden in 1753, a timeframe which closely parallels that of J. S. Bach. He had a diverse career, both as a court and church musician. Ristori’s father, Tomasso, ran a traveling company of comedic Italians; Tomasso then gave Giovanni his first job as composer for the Italian comic theater he managed in Dresden when the family relocated there in I717. Although much of his life was spent amongst the cultural riches of Dresden, Ristori also made forays to Russia and Poland, among other places. One of his positions included an appointment as director of the Capella Polacca that accompanied August II on his Polish excursions (with Franz Benda and J.J. Quantz among the dozen instrumentalists in the group). There must have been some amazing conversations about music in those long coach rides. Nice e Tirsi tells a typical cantata story of love, loss, and psychological struggle: Nice deals with the absence of her lover Tirsi, and processes a whole spectrum of emotions in da capo arias. Although the general topic of the cantata is not extraordinary, it is fascinating that in the story line, our protagonist is more obsessed with the machinations of the god Cupid here rather than those of the wayward or unresponsive lover. Ristori calls quite original musical devices into play to illustrate this trio of personalities. In addition to the unusual construct of the extended recitatives, the first aria flips back and forth between contrasting meters that seem to reflect the narrator’s confusion. Instead of the standard two character contrasts usually found in ABA form arias, Ristori vacillates multiple times between these meters in each section of the aria, reflecting the protagonist’s varying fantastical interpretations of events. 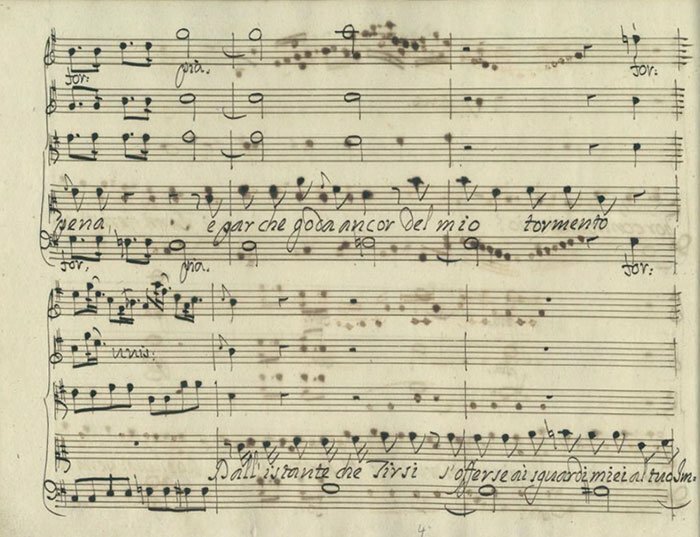 One of the dynamic hallmarks of Nice e Tirsi is the pervasiveness of accompanied recitative (rather than continuo accompaniment) in the extended recitatives of the work. Filled with imaginative rhythmic motifs and colorful melodic gestures, these reactive (and sometimes prescriptive) lines keep every member of the ensemble engaged in the storytelling at all times. All of this can be known before the first rehearsal. But the fun begins when the group comes into the same place, with absolutely no preconceptions or “models” of how this might go. Since no recordings or performing traditions exist, an intimate knowledge of what is going on with this piece that can only be gained by entering it, note by note. Finding something lost and then, step by step, bringing it back to full and vibrant life, provides for very engaging detective-work. 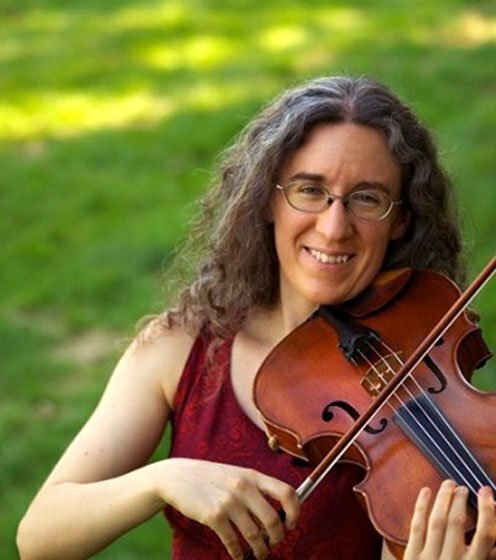 Musicians of the Old Post Road presents “Green With Envy” (the last installment of the group’s “Green Season”) on Friday evening at Old South Church at 8 PM, and Sunday afternoon at the Worcester Historical Museum at 4 PM. Also on the program: Tartini’s “Devil’s Trill” Sonata, Handel’s Mi palpita il cor, Hasse’s Mentre Clori la bella and Vivaldi’s La Folia.